I use soft iLok only. I back up my whole installation on an external harddrive once in a while. If my regular HD crash I can always get everything back as it was. The activated license is tied to your motherboard, not the drive. So, if your motherboard fails, having that drive backup isn't going to help you when the license is already activated on something that is dead. There will always be a case where the worst could happen, making it hard to get everything back on track. During my almost 30 years of using computers I been fortunate to never experience a mother board go bust. I did have several HDD breaking down on me. USB dongles might be okay for as long as you don't remove them from the computer. ESD is a USB device killer. 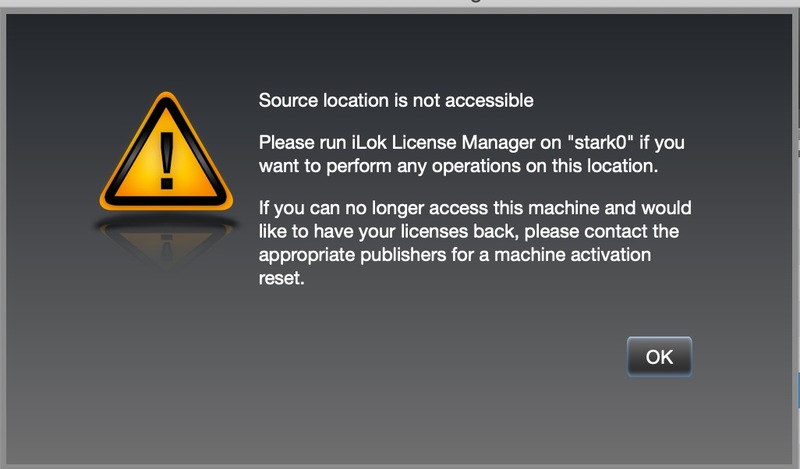 IMO using soft ilok pretty much invalidates the whole point of having the license at a single place, where the license can be replaced by companies then in case of broken dongles. Those software dongle solutions are not only about to fail in case of hdd/motherboard/network card issues, but due to different os/software updates too. yes license is safe, but the process is somewhat cumbersome: you need to contact the companies so that they can issue new licenses. Happened with me, I posted about it. It has happened to me. I prefer not to put myself at the mercy of a company when I can take action to help prevent even dealing with them for licenses that I paid for. It's no guarantee that they'll grant you another license. They won't need to. As I explained, you can de-authorise your dead drive/machine from another machine and then re-allocate that license to your new drive/machine. That's exactly what I did when I got a new laptop least year - I installed iLok on the new machine, signed into my account, deactivated everything from the old machine (which was switched off at the time) and then authorised everything for the new machine. I thought I'd have to start the old machine and de-authorise from there but I didn't. As I said, it doesn't matter. If you ever resurrect that mobo your software will no longer be licensed for it if you've moved them to a new machine. Did you even try to deactivate and re-activate for the new set-up? It worked for me less than 6 months ago. So you deactivate them from the old config and re-authorise on the new one. Two minutes' work. I just had to deal with it as well... Though not because of hardware failure. I have read that if you do a major upgrade (cpu, memory), the ilok could see your computer as a 'new system' and the licenses in the 'old one' (same computer before upgrade) will need a Location Reset. Maybe the best strategy for an computer upgrade with soft ilok is to put licenses on cloud before upgrade and get them back after upgrading. I upgraded no hardware. My Location ID changed somehow because of a server error. Took about a week to get it sorted out. That sounds like a legit nightmare to me. I can not imagine loosing time in the studio because of this. I use ilok 2 key and it never failed on me. I hope it will stay like that. I've been using for almost a decade and never had a problem before. I technically could have activated some of my software on the new Location ID (unless it only allows 1 activation) but I had other problems as well. As in, my account was showing licenses that were not mine. Where is the option to do this? I have activations tied to dead machines and never found this option anywhere. Never seen this option too. But, when I click on deactivate them, I receive a message that it's not possible to deactivate without access to the machine itself. This is my experience as well. That's why I activate, then deactivate on a cloned drive image so that I never have to go through this again. If you E-mail Soundtoys with the Location ID of the unavailable computer, they can remove those licenses - and eventually that Location ID / computer will be removed as well. yep! but my soundtoys 5.2 license already unlocks them. These are the leftovers before I upgrade to the bundle.